We drink it, we bathe in it and we cook with it. We all know that we couldn’t survive without water but here are some facts that you might not know about water. Roughly 70 percent of an adult’s body is made up of water. At birth, water accounts for approximately 80 percent of an infant’s body weight. 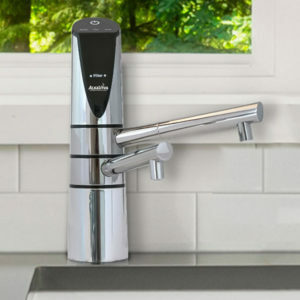 The average person in North America uses anywhere from 80-100 gallons of water per day. Flushing the toilet actually takes up the largest amount of this water. Annually, Canada’s rivers discharge 7% of the world’s renewable water supply – 105 000 cubic metres per second. By the time a person feels thirsty, his or her body has lost over one percent of its total water amount. Canada has 563 lakes having an area greater than 100 square kilometres. Although Canada has about 20 per cent of the world’s fresh water, it’s estimated that only about one per cent of that resource is replenished each year by rain or snowfall. Women who are pregnant or nursing need to drink more water. We not only lose water through urination, skin evaporation and sweat, we lose water through breathing. The average person takes between 17,280 and 23,040 breaths a day. That’s a lot of potential to lose the water your body so desperately needs to be healthy. To help your body stay hydrated and get healthier simultaneously, drink one half to one full glass of water when you get hungry. If after 20 minutes you are still hungry, go ahead and get yourself the fuel you need and eat. However, you may just help yourself to not consume extra, non-essential calories. Every day we lose about 3 liters of water. Lack of water, or dehydration, reduces the amount of blood in your body, forcing your heart to pump harder in order to deliver oxygen-bearing cells to your muscles. PrevPreviousMolecular Hydrogen: the new fountain of youth?